﻿ Inn Place, Pattaya | FROM $21 - SAVE ON AGODA! "Comfort, Value for money, location is all good." Have a question for Inn Place? "the staff were more than happy to help and put me in a new room which was perfect." "The hotel was nice clean and the location was very good." "The staff was very friendly curtious." "Girls are very good at this place." Designed for both business and leisure travel, Inn Place is ideally situated in Jomtien Beach; one of the city's most popular locales. From here, guests can enjoy easy access to all that the lively city has to offer. A well-kempt environment and its proximity to Immigration Office, British Consulate, Smile Massage give to this hotel a special charm. At Inn Place, the excellent service and superior facilities make for an unforgettable stay. Guests of the hotel can enjoy on-site features like free Wi-Fi in all rooms, facilities for disabled guests, Wi-Fi in public areas, car park, laundry service. The ambiance of Inn Place is reflected in every guestroom. television LCD/plasma screen, internet access – wireless, internet access – wireless (complimentary), non smoking rooms, air conditioning are just some of the facilities that can be found throughout the property. Throughout the day you can enjoy the relaxing atmosphere of the massage. With an ideal location and facilities to match, Inn Place hits the spot in many ways. "The staff are lovely and helpful." First stay here for me and I was impressed. The hotel is down a dead end Soi off beach road so it's quiet at night time. Lots of massage shops on the entrance to the Soi. The room was spacious with a big balcony. Comfy bed. Good air con. Clean. The bathroom was a good size with decent water pressure. No pool but that wasn't a problem. Good WiFi. If you want somewhere good value to stay in Jomtien I would recommend Inn Place. 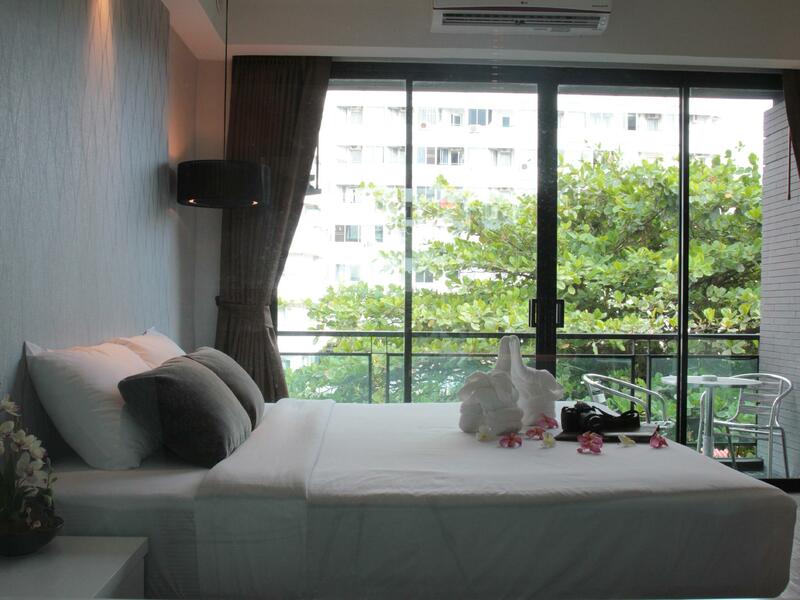 Good location, metres away from beach, shops, food, laundry, baht buses and next door to many massage shops. Nice clean room with good aircon and WiFi. Have stayed here a couple of times, it is located down the end of the lane, which is full of massage places. A 711 is on the corner and its a short walk to the beach. Rooms are small but comfortable, WIFI is decent, the bathroom gets a little wet, but you can manage fine. The staff are lovely and helpful. The nights are quiet cause of the hotel being at the end of a dead end lane (soi). Good value , because it is set back in Soi 6, it is close to the beach with no traffic due to being a no thru road. Modern rooms for the price, friendly staff. I extended my stay, and will stay again when in Jomtien. Great place hidden away up soi 6 alley, great laundry next door, 2 mins from beach, very pleasant staff with a welcome smile on there faces, only booked for 2 nights enjoyed it that much booked for a further 2 nights, for what you pay its a great place to stay. One thing that I also noticed other people had problems with is the nasty smell from the bathroom. Some days it was crazy bad and others not so much. If they could fix that they would have a perfect place to stay. No cafe at hotel but Surfside Restaurant is 2 mins walk away and has a good selection of Thai and Western food. Opens early for breakfast too. Noise can be a slight issue when revellers return to their rooms after partying but it is a holiday place after all. I have stayed here before, and many things work out well. However, I did have issues with disruption of WiFi signal and the air conditioner is fixed on 75 degrees Farenheight, which makes for an uncomfortable rest. I know this because I travel with a digital thermometer. 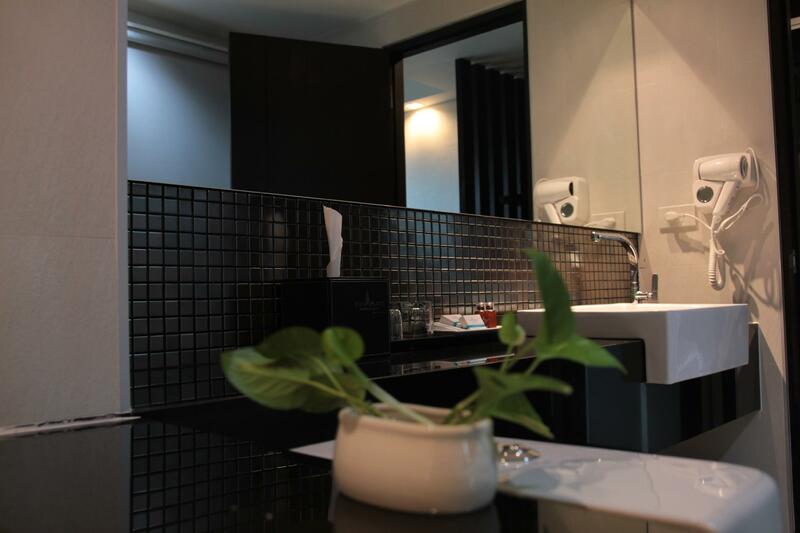 Otherwise, the room is a nice, relatively quiet and great location if you like Jomtien beach, with many restaurants and convenience stores on your doorstep. Just a night this visit but it is close to everything Jomtien and is clean and comfortable. The massage parlour on the way in are a bit of a distraction. Staff friendly and efficient and a nice stay. Still hope a pool gets organised as it is needed this time of year. Rooms really nice and staff pleasant! Have stayed here 4 times already as location very good and rooms good value for money! Never had any problems so far and would recommend for travelers to stay here ! I enjoyed my stay there. Maybe a little bit more worn down than in the pics, nevertheless still nice & anything you need for an relaxed stay. Can recommend. Maybe the could improve in the last 5-10% in cleanliness.